The year of 2017 marks the 23rd year of Vision Group engaging in the battery industry. Over the past 20 years of trials and tribulations, it has become a listed company from scratch with its capital increased to 2.5 billion yuan from 0. Its development looks like a soul-stirring epic. The reason that Vision Group has become an industry leader lies in the simple but practical truth---“Produce batteries with a down-to-earth attitude and control the quality in an honest and earnest way”. Excellent product quality has been the crucial reason for its good reputation in this industry. However, Vision Group is never contented with the current situation and it has been on the road of its pursuit of even higher quality standard. 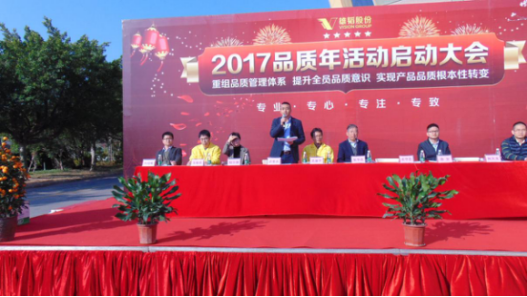 Following the happy Spring Festival, the senior executive team including the Group president Mr. Zhang and all staff members gathered in the park in the morning on February 15 to participate in the kick-off meeting for the 2017 quality campaign. This kick-off meeting was hosted by the Quality Department of the Group. The directors of all departments and representatives of staff members appeared to deliver their addresses one by one expressing their firm resolution to cooperate in strengthening the management and control of quality. Allan Hong , the vice-president for production of the Group, explained in detail the strategic meaning of the quality campaign this year at the meeting. As the first move in the five major moves that the Group must win in 2017, he is full of confidence for the “Quality Upgrading” campaign though feeling the pressure. Hong thinks that the quality campaign is like the “Liaoxi-Shenyang Campaign” in what it means to Vision Group in 2017 because it represents the turning point of its fighting for the market share. Backed by good quality, the sales department at the front can have a solid support and every sales person can hold their head high with confidence. It is of irreplaceable importance in raising the morale of the whole company. But, it is a difficult battle. Hong raised higher requirement for all his colleagues reiterating that we must change our thinking and be more fastidious about quality problems; problems are not horrible, and we can fly higher after solving them. We have already got a sound set of quality data and we must better use them in the future to standardize the existing quality management and control system. At the same time, we will learn the advanced quality management system from our customers to strengthen the maintenance of equipment and raw materials, so our product quality would get even better in 2017. After the chief responsible leader made the proposal, Mr. Wu, the Group’s senior director for quality, immediately stepped onto the rostrum. At the moment he took over the microphone from the hands of Hong, Wu has undertaken the heavy task of quality improvement! 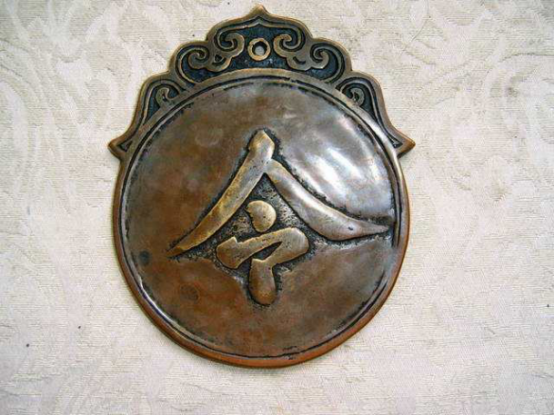 In Wu’s opinion, although the product quality of the Group is praised by the public, it can still be improved since the customers have ever-higher demand for quality. So we should keep pace with the times in pursuit of premium quality by abandoning the idea of being complacent and conservative. Wu's speech encouraged all the colleagues at present. The directors of all departments and representatives of staff members expressed their own determination one after another. They said, in the past their colleagues had been attaching great importance to product quality and in the future, they would exert stricter control on quality from the pre-sales links to after-sales service, paying attention to every detail, thus raising the product quality to a new level! Although Vision Group is an enterprise conscientiously responsible for its customers, it is inevitable for any enterprise to have inferior products. In order to raise all the employees’ awareness for quality, deepen the quality improvement and promote the morale in this quality campaign, the highlight at the kick-off meeting was to smash the substandard products with the iron hammers. 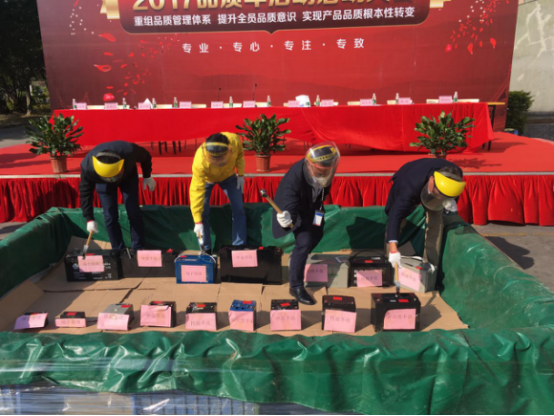 The group president Zhang Huanong, Chen Hong, executive vice president of the platform of headquarters, Wu Deping, executive vice president for the supply chain, and Hong Changbing, vice-president for production, held up the hammers to mercilessly smash the batteries signifying all kinds of substandard products on site one after another. By this action, they have shaken off the flaws and dust on their own body and opened a broad and well-paved road towards good quality! In the future, we will put forward even higher requirement for our product quality and we believe it will become better and better! Previous ● Does China have a lithium battery dedicated to energy storage projects?